Hackers from more than 130 countries will exhibit their skills in Turkey's first aerospace and technology festival "Teknofest Istanbul." "The HackIstanbul 2018 Capture the Flag" contest will be organized on Sept. 22, as part of the Teknofest Istanbul. 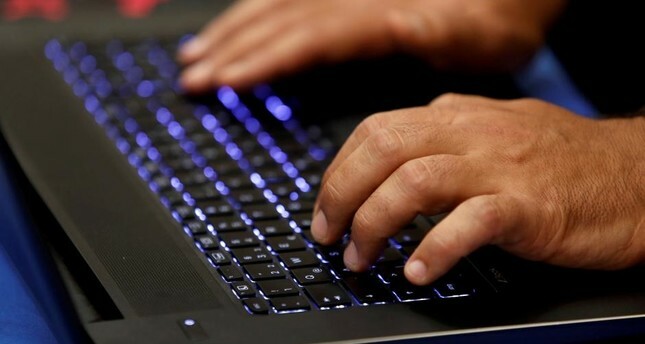 Thousands of hackers from 132 countries are expected to attend the contest, where well-known experts will also deliver their speeches, according to the contest's website. "Hackers' skills will be pushed to the limits by advanced real life cyber-attack scenarios prepared under the guidance of world's foremost experts," it said. The contest will also be followed closely by the European Cyber Security Organization (ECSO) and Romania Science and Technology Ministry. The winning, the second and the third teams will be awarded $15,000, $10,000 and $5,000, respectively. Winners will receive their prizes from Turkey's President Recep Tayyip Erdoğan. The festival will be held on September 20-23 at the Istanbul New Airport. Teknofest Istanbul is being organized by the Turkey Technology Team Foundation and the Istanbul Metropolitan Municipality to promote and to showcase Turkey's rapid technological advancement. Within the scope of the festival, aviation demonstrations, including Parachute, Solo Turk, Turkish Stars and International Professional Aviation teams, seminars, award-winning technology competitions and domestic technology enterprises, as well as International Venture Summit which will include international enterprises, will be organized. The most important part of the festival will be the technology competitions organized in 12 different categories. By providing competition teams with technical equipment support to design and develop their own projects during the preparation process, it is aimed to support the youth's technological developments. The competition accepts applications from a wide range of age groups, from secondary school students to higher education graduates. More than 20 partners including government bodies, private companies and academic institutes will support the event.